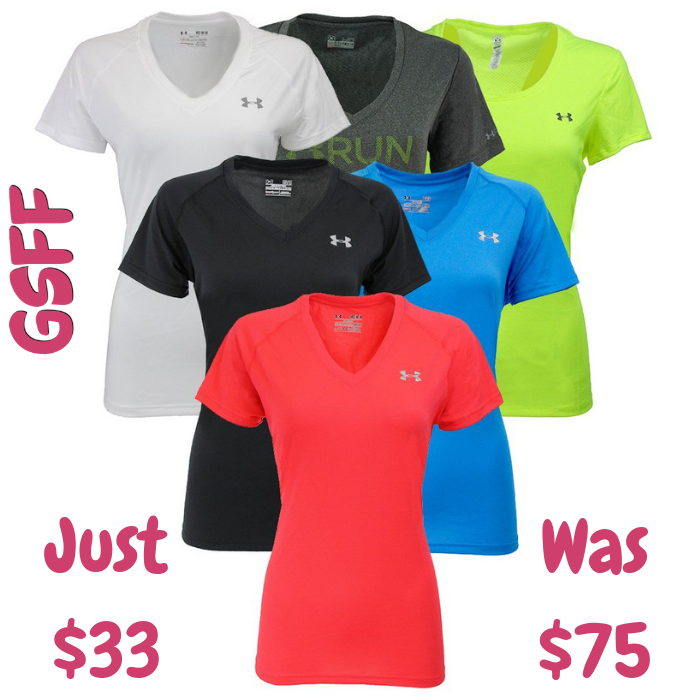 Women's Under Armour T-Shirt 3-Pk Just $33! Down From $75! Shipped! You are here: Home / Great Deals / Black Friday Deals / Women’s Under Armour T-Shirt 3-Pk Just $33! Down From $75! Shipped! Women’s Under Armour T-Shirt 3-Pk Just $33! Down From $75! Shipped! Until November 24 only! Hurry over to Proozy.com where you can get this Under Armour Women’s T-Shirt 3-Pack for just $33 down from $74.97 when you enter promo code PZY33 at checkout! PLUS, it ‘s FREE shipping!